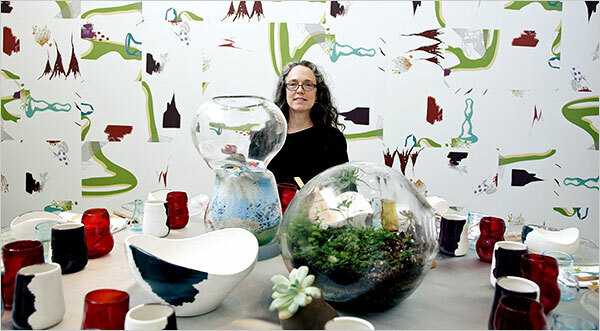 According to the NY Times the imitable grand poobah of terrariums- Paula Hayes- is now designing tableware akin to the biomorphic figures in which she builds her mini ecosystems. These funky glass-blown pieces are great for terrariums- I don't know if I would to drink wine out of it. I still like her style.